This AMAZING 3 bed/ 3 bath home is definitely a ''MUST SEE!'' Completely renovated recently and no expense spared! TWO MASTER SUITES, split floor plan, tile roof, new granite counters throughout, new Travertine flooring, stainless steel appliances, sinks, faucets & fixtures, all new! Beautiful Mahogany front entry door, Granite infused upscale kitchen sink, freshly painted throughout, wired for surround sound inside AND in garage, new carpet, under cabinet lighting w/ dimmer switches and so much more! Gorgeous inground pool w/ rock waterfall & brand new cool decking, decorative lighting on block wall w/ dimmers and TONS of gated side Motorhome parking with full hookups! Includes insulated large exterior shed for extra storage! 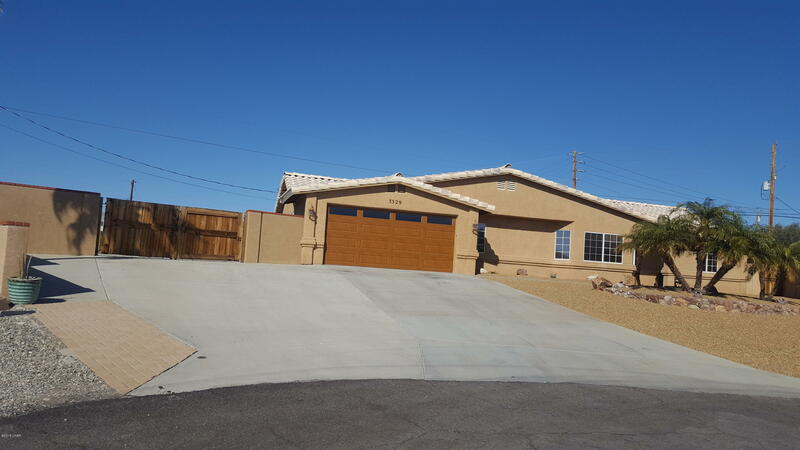 This home backs to a wash & is located in a very quiet Cul de Sac to aid in the serenity that this home offers!